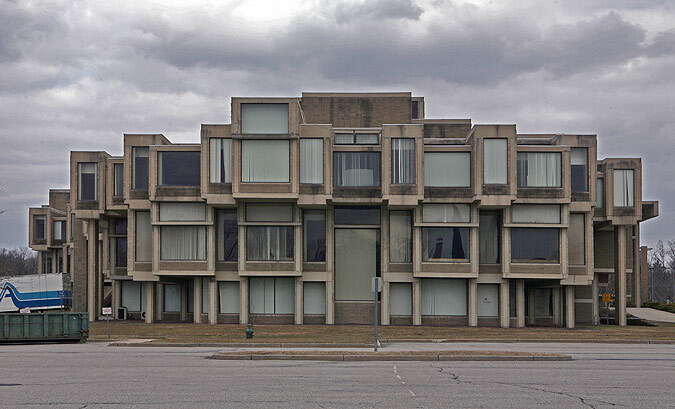 In yet another turn of the screw, Orange County, New York county executive Eddie Diana’s claim that a FEMA report proved Paul Rudolph’s Government Center sustained substantial damage from Hurricane Irene turns out to bogus at best. Dogged reporting from the Times Herald-Record reveals once again that the county executive’s numbers just don’t add up: “Diana told reporters that county officials have coaxed FEMA into raising its original estimate to $535,000 from $505,000. By contrast, the county’s consultants had estimated $10.5 million in damages.” FEMA officials blame the bulk of the damage on poor maintenance.